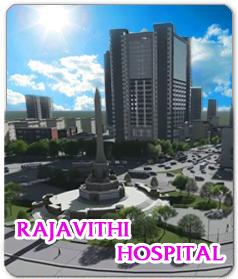 Rajavithi Hospital Foundation was founded in 1980 and registered as a Licensed entity in 1981. Our main objectives cover aiding needy patients, promoting hospital activities for treatment including research to benefit patients. Rajavithi Hospital was graciously supported by the Princess Mother Charity Fund. From 1992 to 2010 in the amount of 10,300,000 Baht under her royal wish “…to carefully provide for the maximum benefit to distressed patients…” Since its inception, the foundation has spent over US$11 million. Cheque payable to Rajavithi Hospital Foundation.